After forming an extension inside wave (3), the Index completed the fourth wave. On the minor wave level, the price formed an initial ascending impulse. 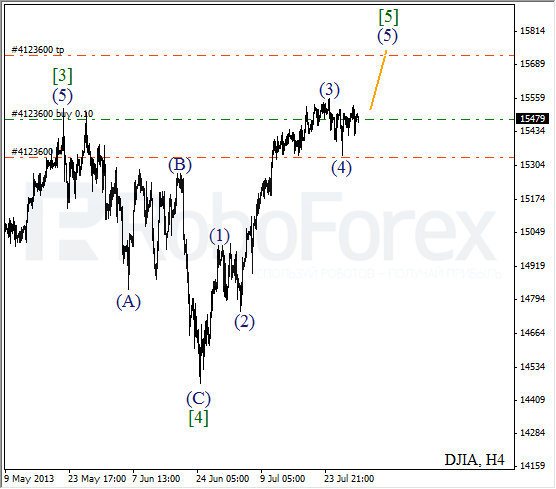 Most likely, during the next several days the price will break the maximum while forming wave (5) of . More detailed wave structure is shown on the H1 chart. 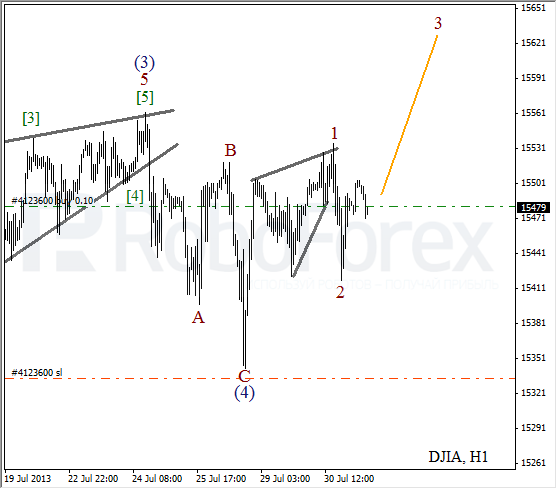 We may assume that wave (4) took the form of zigzag pattern. 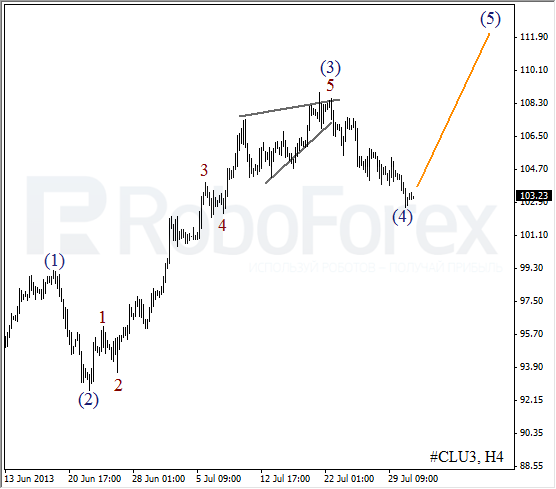 In addition to that, the instrument formed a bullish wedge pattern inside wave 1. In the future, the Index may start moving upwards inside wave 3. It looks like Oil is about to finish the fourth wave. Earlier the price formed an extension inside the third wave. The forecast remains the same; the instrument is expected to start growing up inside the fifth wave. 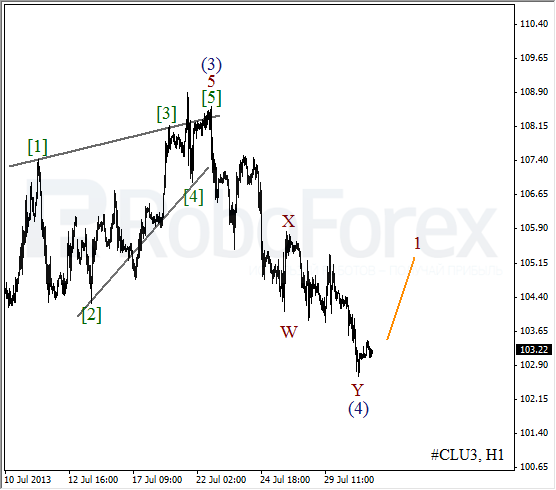 As we can see at the H1 chart, wave (4) is taking the form of double zigzag pattern. In the near term, the instrument is expected to form an initial ascending impulse. I’m going to open several buy orders as soon as the price makes a reverse.